As chair of the Corporate and Business Law practice and a member of the firm’s executive committee, John Cromie is an exceptionally experienced business lawyer. He represents entities ranging from Fortune 100 public companies to privately owned mid‑cap enterprises and startup ventures on a wide range of real estate and financing transactions. He is well-versed in the area of mergers and acquisitions, as well as in the purchase, sale, leasing and development of commercial real estate. John also has significant experience representing lenders and documenting asset-based and real estate-based commercial loans and credit facilities. 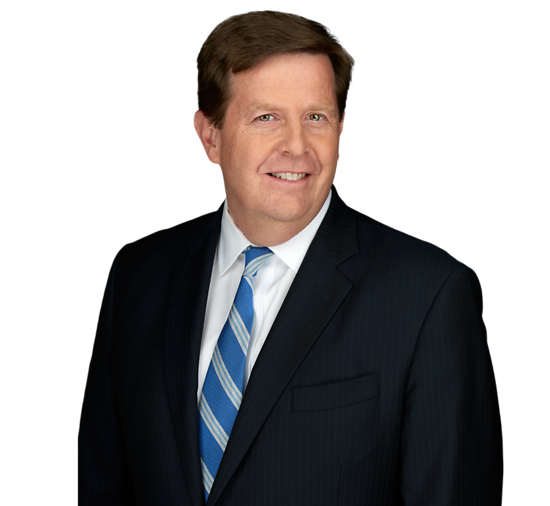 John often serves as outside general counsel to his clients, working with closely held businesses in a variety of industries, including construction, manufacturing, specialty chemical and health care. He provides a “one stop shop” for in-house legal teams, who appreciate his responsiveness, efficiency and practical approach to finding solutions to their day-to-day legal issues as well as more complex matters. In addition to his legal practice, John served three terms as a Borough Councilman in Allendale, Bergen County, New Jersey. Prior to joining the firm, he completed a clerkship with the Honorable Daniel J. O’Hern, Associate Justice, Supreme Court of New Jersey (1987-1988). He is currently the Chair of USLAW NETWORK, Inc., an attorney referral network comprised of over 6,000 attorneys in the United States, Canada, Mexico, South America and Europe. Chair of Board of Directors, Emerging Industries Director, Member and Past Chair of Business and Advisory Services Practice Group, and Member of Banking/Financial Services Practice Group of USLAW Network, Inc. Associate Member and Counsel, Associated General Contractors of New Jersey, Inc.
Connell Foley LLP Hosts RELA NJ Program "An In-Depth Look at the New Jersey Real Estate Market"
Mid Atlantic Real Estate Journal Features Connell Foley Partner John D. Cromie's Article "Term Sheets, Proposal Letters and Commitment Letters: Practical Advice for Real Estate Developers"
John Cromie, Stephen Falanga and James Jacobus Authors “Letters of Credit Offer Landlords Protection Against Tenant Bankruptcies"
John Cromie Co-authors "Set-Aside Act Amended to Remove State Contract Set-Asides for Minority Owned and Female Owned Business"
John Cromie Co-authors "New Consequences for Fraudulent Dealings with the State of New Jersey"
John Cromie Co-authors "Steel Price Escalation Threatens NJ Contractors – A Proposed Two-Part Solution"
John Cromie Co-authors "State Contractors Prohibited From Making Campaign Contribution"
John Cromie Co-authors "Secured Credit Exemption Upheld"
John Cromie Co-authors "Court Stakes a Middle Ground On Free Speech in Shopping Malls"
John Cromie Co-authors "Secured Electronic Signatures in Global and National Commerce Act"
John Cromie and Noel Humphreys Authors “Data Breaches: Will You Be Protected? Six Essential Questions to Ask Your Target Company"
John Cromie Co-authors article "Data Breaches Responsibilities"
John Cromie Authors "Accounting Changes for Real Estate Leases are Looming"
John Cromie Co-authors "M&A Advice in Troubled Times"